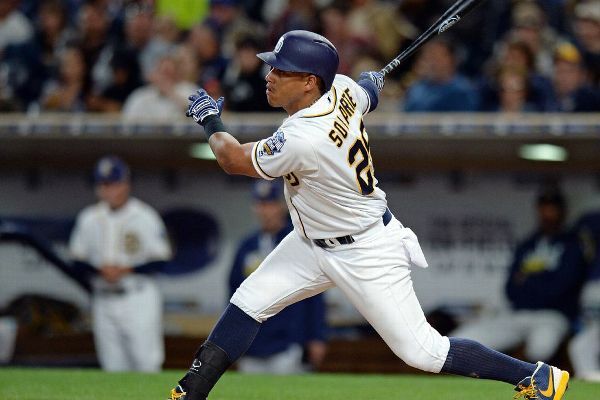 The Blue Jays are acquiring second baseman Yangervis Solarte in a trade with the Padres. 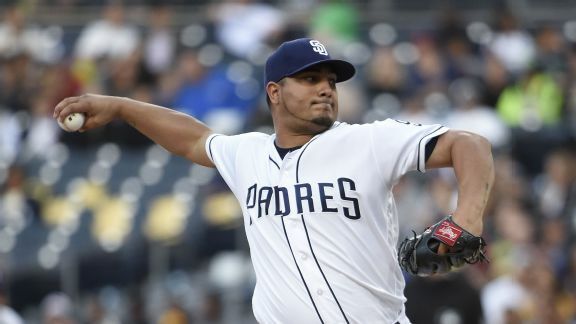 Rumor Central: Padres eyeing reunions with Jhoulys Chacin, Craig Stammen? San Diego is reportedly hoping to re-sign the pair of veteran right-handers, who performed well at Petco Park in 2017, this offseason. 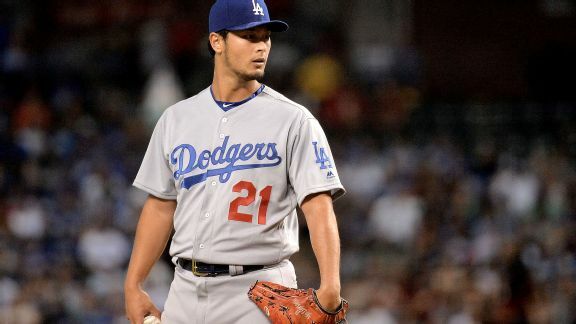 The week in Dodgers dominance: Is 116 wins within reach? We know they're making history, but will they eclipse the single-season wins record? Here's a look at their past six days and what's next for L.A.
Right-hander Craig Stammen has agreed to a minor league contract with the Cleveland Indians and will report to big league spring training. 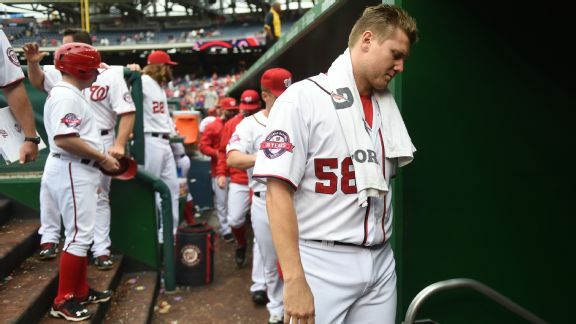 The 2015 Nationals were more disappointing than a lukewarm shower on a cold December morning. They've got work to do in Nashville. 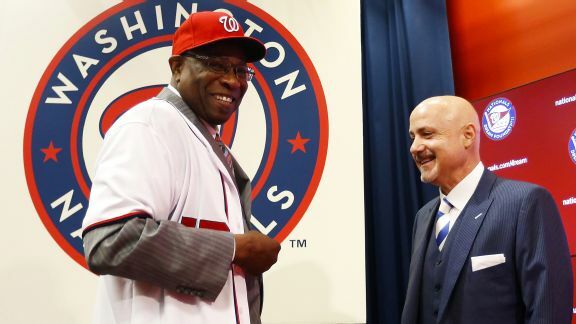 Dusty Baker replacing Matt Williams is the first step. 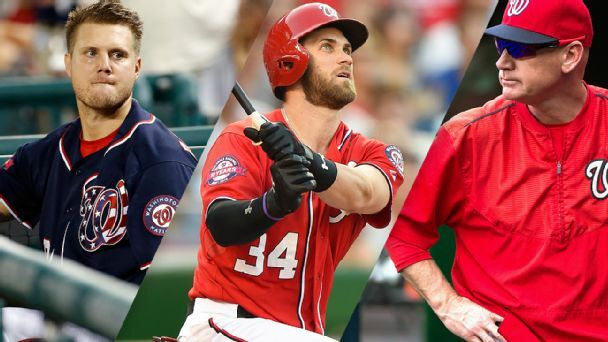 What else will the Nationals do to try to erase the memory of a painful 2015 season? 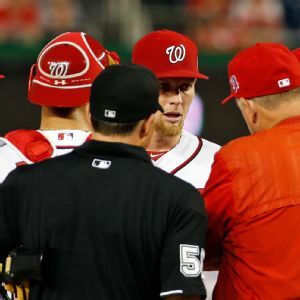 The Washington Nationals' 2015 report card is in, and the grades for management and the bullpen are not good. The Washington Nationals have brought up right-handed pitcher Joe Ross from Double-A Harrisburg and optioned A.J. Cole to Triple-A Syracuse. The Washington Nationals have signed Jose Valverde to a minor league contract as an insurance policy for their inconsistent bullpen. 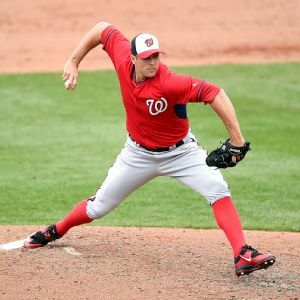 Washington Nationals reliever Craig Stammen will have surgery Sunday for a torn flexor tendon in his right forearm and could miss the rest of the season.